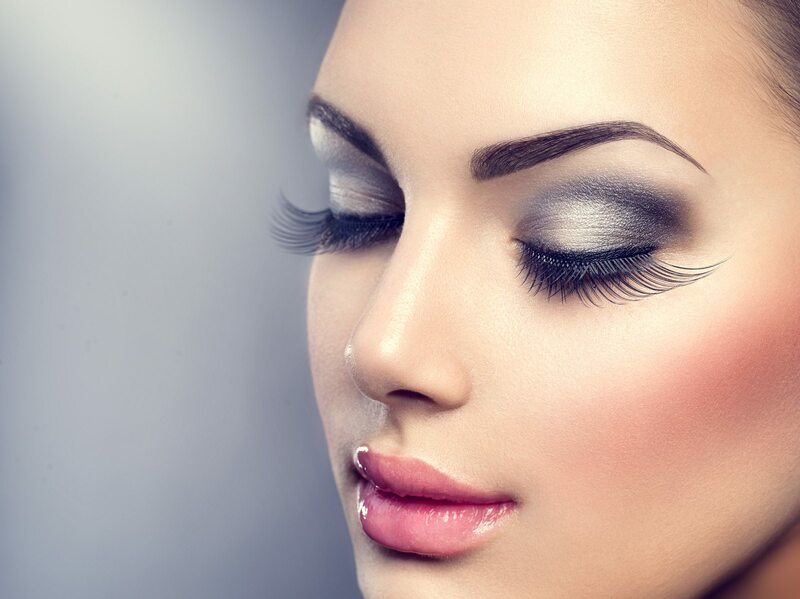 Beautiful Fashion Luxury Makeup, long eyelashes, perfect skin facial make-up. Beauty Brunette model woman holiday make up close up. Eyelash extensions, false eyelashes.